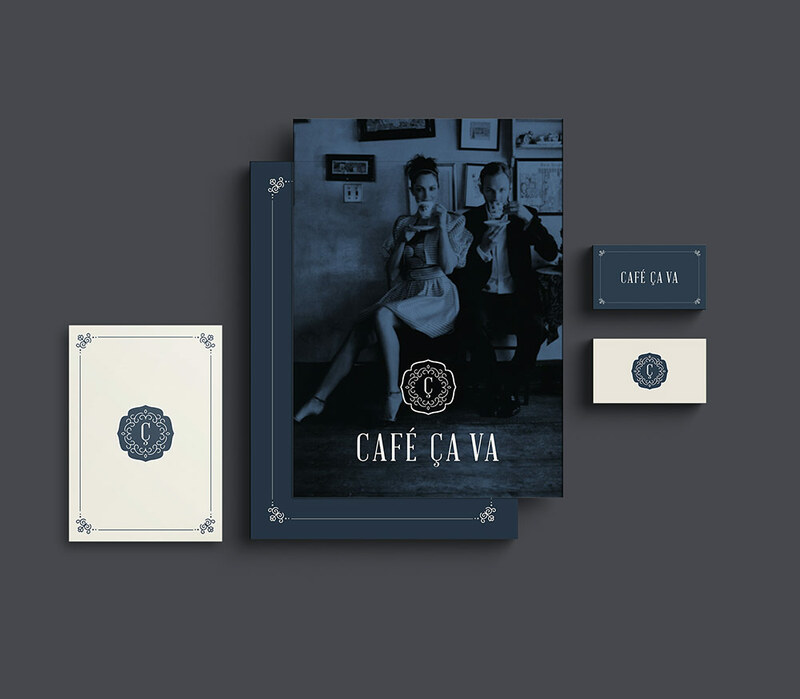 Café Ça Va approached our Vancouver Branding Studio with an idea of designing a unique brand identity for their parisian-themed café. Designing an elegant typeset wordmark, complemented by a classic monogram with a serif C, we work to communicate the sophisticated Parisian spirit of the cafe. The colour palette of navy blue with cream signals heritage, quality and integrity. By working closely with interior designer we also ensured a complete and cohesive brand experience. The brand identity provides a backdrop to the cafe’, allowing the focus to be on the warmth of the atmosphere, and the pleasure of the french cuisine. With the iconic branding work and design, Café Ça Va has become not just another successful cafe—but a West Vancouver destination.